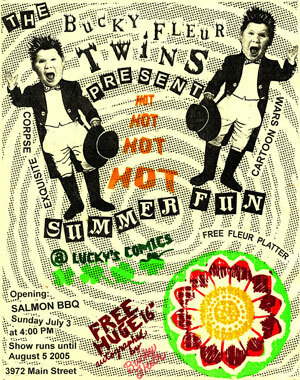 Established in 2005, Perro Verlag is an idea that grew out of collaborative drawing sessions, comics exhibitions and barbecues at Lucky’s Comics in Vancouver. Perro Verlag’s roots go back to the energy of 1970s artist’s mimeo magazines in which the page became an alternative exhibition space for artists to work in. 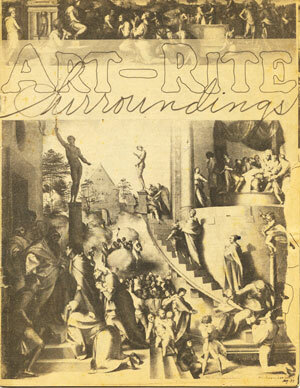 As Edit deAk, a founding editor of Art-Rite, said about that magazine’s run: it was “a restless but friendly, constantly evolving entity.” This is an editorial vision that Perro Verlag strives to emulate, working as we do without the constraining net of government funding requiring stability of intent and focus, and sound budgets expressed in spreadsheets. We recognize the importance of unstable thoughts and impractical, possibly visionary intentions. Our studio is a laboratory of disruptions, our print shop a stage for timely, unbalancing acts. “Doubt,” wrote Voltaire, “is an uncomfortable condition, but certainty is a ridiculous one.” We would most certainly concur (see below).